Blue Diamond’s innovative ‘Glow Pegs’ are an effective 20cm tent/awning peg alternative, utilising the newest technology to absorb sunlight during the day and glow at night! 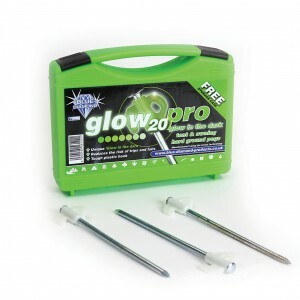 Are you looking for the Glow Pegs Pro x 20? Blue Diamond’s innovative ‘Glow Pegs’ are an effective 20cm tent/awning peg alternative, utilising the newest technology to absorb sunlight during the day and glow at night! The pegs have a sharp, tapered stainless steel spike for gliding through harder/stoney pitches and ground, as well as a tough plastic hook and glowing nylon head. 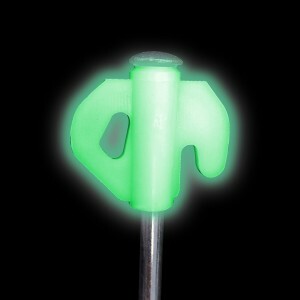 This glowing head provides a unique, contemporary aesthetic, as well as additional safety benefits through the extra visibility, reducing the risk of tripping over the guylines; this makes them ideal for festivals. The pegs come complete in a robust plastic carry case, containing 20 pegs per case. These pegs are also available in packs of 150 (PEG210).